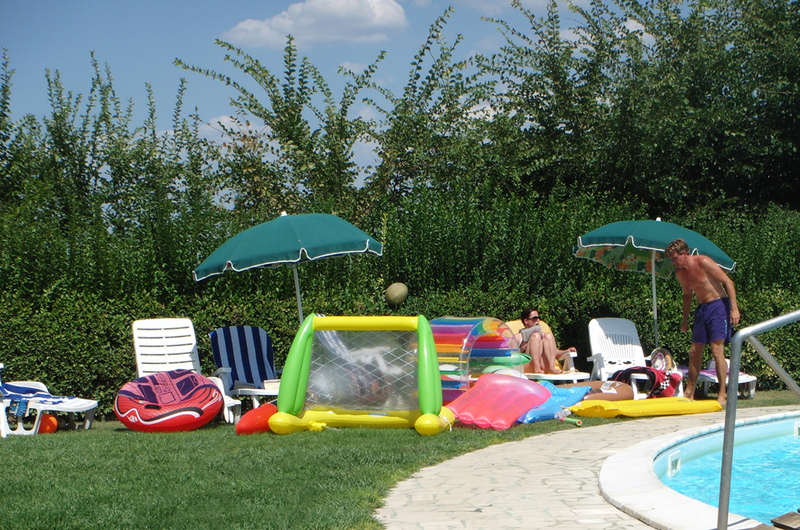 When Mike and Charmaine and wee James were here we visited the small village of Greve in Chanti. Greve is built around a triangular piazza which has the usual assortment of shops and cafes dotted around it. It also has one shop which we think is special. 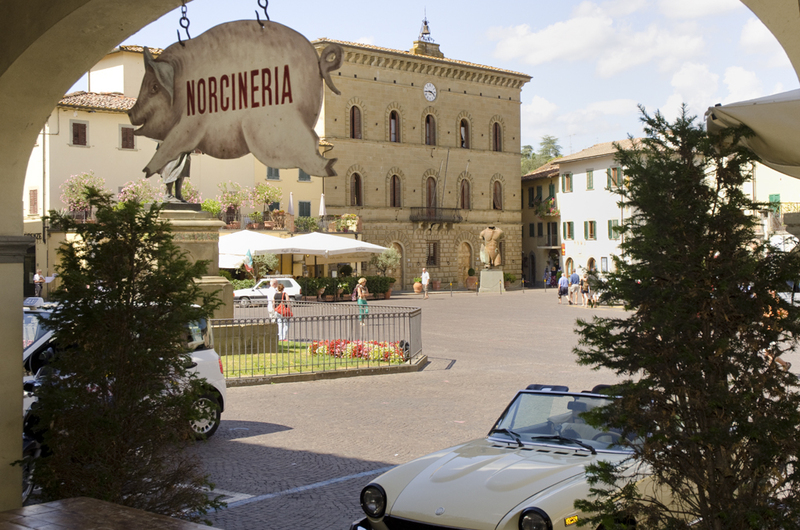 The sign outside says Norcineria – or butchery – but the experience inside is something else. Describing Antica Macelleria Falorni as a butchery is like calling St Peters in Rome just a church. Entering the shop, you are hit by complete sensory overload. Everywhere you look there are cured hams, cheeses, salamis, and more cured hams hanging, stacked, packed and displayed. The smell is overwhelming (I’m told as I have no sense of smell) and it strikes you like a hammer the moment you walk through the door. The shop also sells wines to go with the wide range of cheeses available as well as the ususal Tuscan butchery mix of meats, game, and poultry. In the usual Italian way, things can be tasted before buying – just to provide even greater sensory overload. 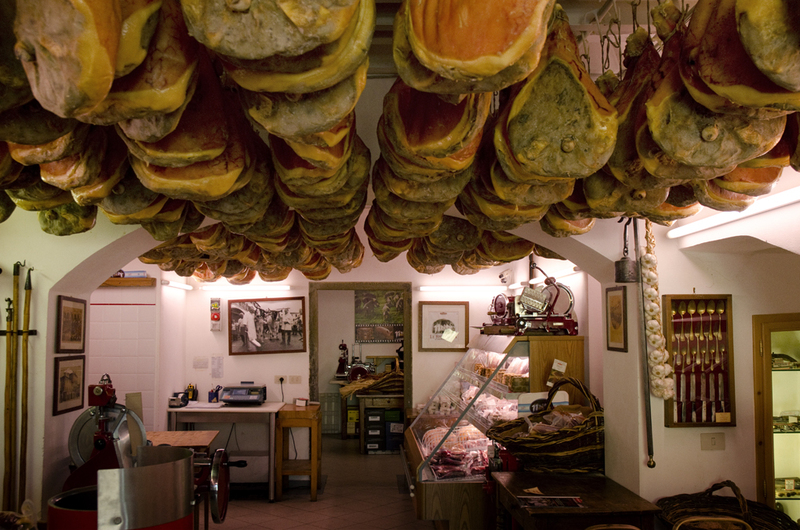 The shop stretches through 3 street frontages so as you move away from the front door you move from one small area to another, and in each the ceiling is hung with curing legs of ham giving the whole shop the feeling of a cave. For food-lovers, almost certainly an Aladdins cave. 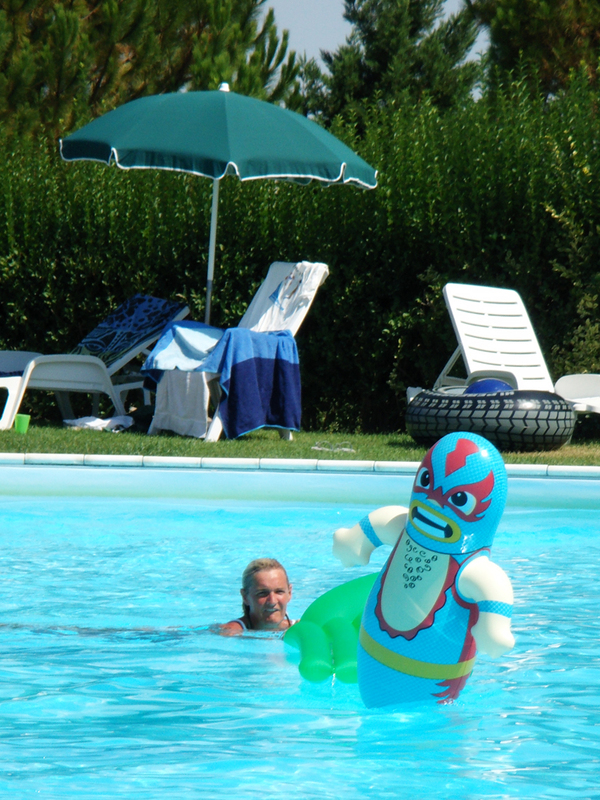 If you visit Tuscany, you really should stop in Greve and marvel at this most unlikely tourist attraction. If you are a regular reader of Toscanakiwi you will notice that the look of the blog has changed. Why? Well, it just felt like time for a change. And, more importantly, I figured out how to do it. The good news is that everything is still where it has always been, however there are a couple of additional things to mention. Firstly I can now include video in the blog. This probably means a series of home movies will crawl onto the site over the next few weeks. Secondly there is a new section called “Travel Tips”. This is a place for us to leave helpful tips we’ve picked up traveling over the years. It will have new bits added as they come to mind. Also if you have any questions about traveling to Italy simply ask us. We will do our best to answer them. Anyway, I guess “new but old” sums this change up.